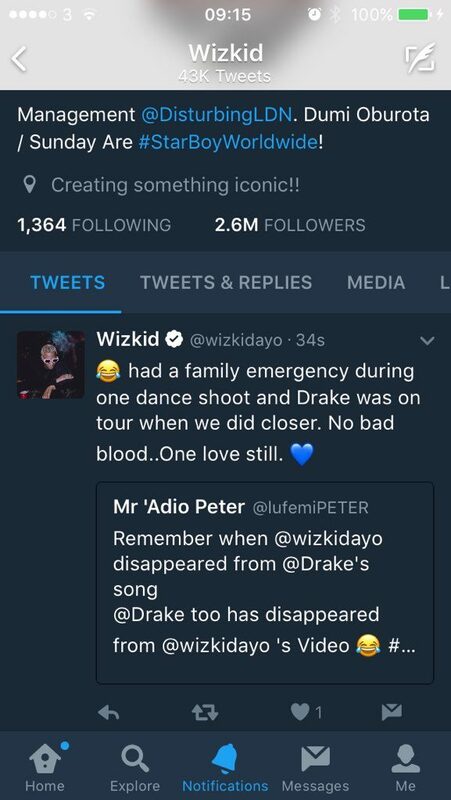 Wizkid Ayo Balogun who recently dropped the video to his single, Come Closer has explained why Drake did not appear in the video. Even though, the song featured Canadian rapper, Drake, the video featured only Wizkid and his video vixens. The single video, directed by Dapo ‘DAPS’ Fabenle, was released 5.am on Friday. Shortly after the video was dropped, fans took to the social media to inquire from Wizkid why Drake wasn’t in the video. They pointed out that in 2016, Wizkid too was absent on Drake’s video for ‘One Dance’, and failed to make the final cut.